We started farrowing in the middle of August and won’t be finished until October 6th! The miracle of birth never gets old! You can hear the crickets as the piglets nurse on their mamma below. 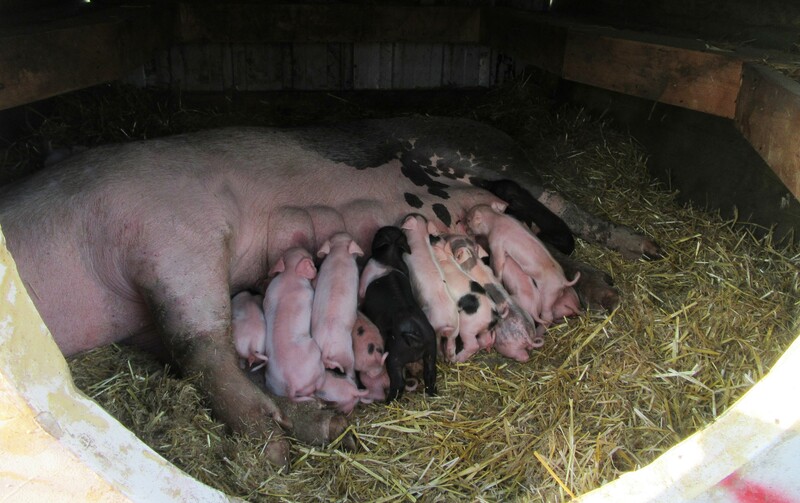 Bavarian with her 19 piglets! 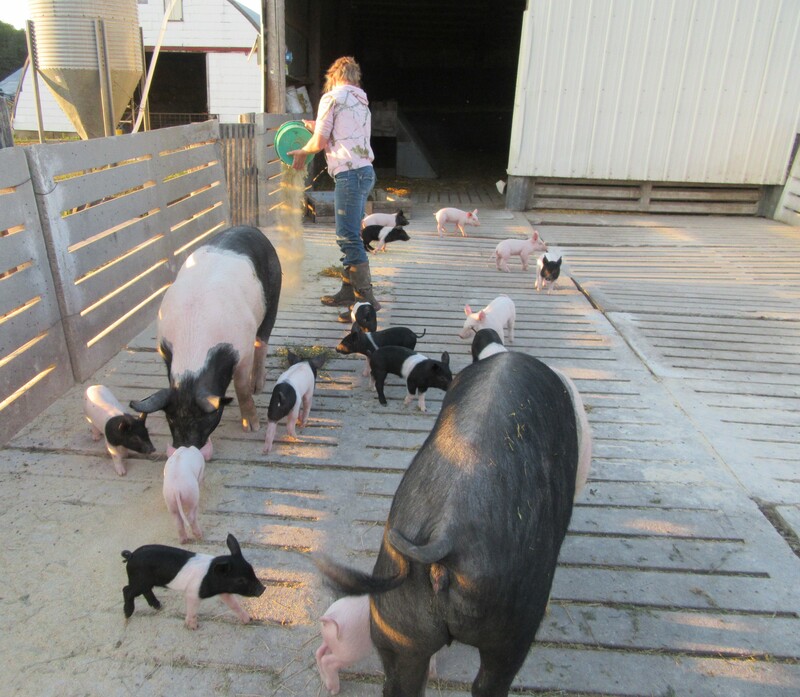 Marisa getting ready to help process the 3 day old piglets. Plenty of night shift watch but in the end it pays off. Approximately 254 piglets are on 24 mamma’s right now and we’re praying the next 14 sows and gilts farrow out nicely as well! In between all of the farrowing we managed to process a lot of canned goods. Life is good, down on the farm! 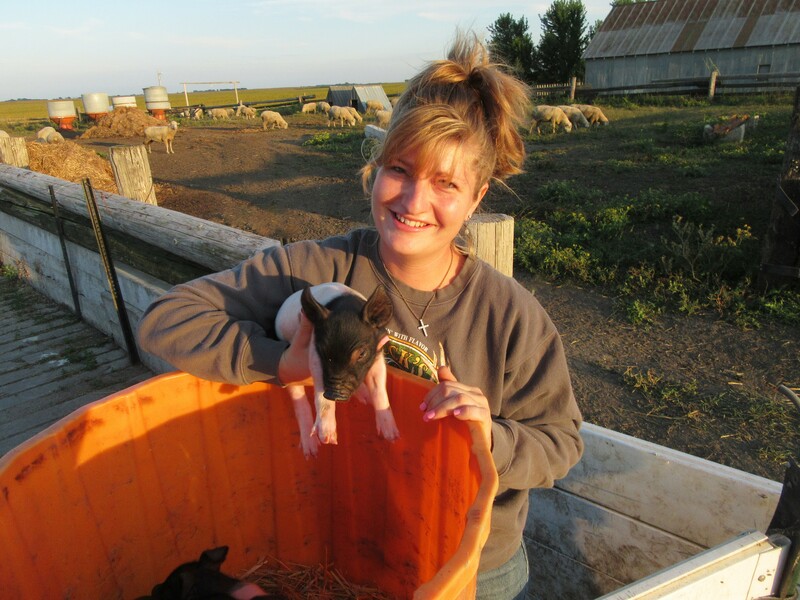 This entry was posted in LIVESTOCK and tagged Organic Prairie Pork Callens Honey Farm Minnesota. Bookmark the permalink.